Our Amazing Learning Resource Centre! The LRC (Learning Resource Centre) is in many ways a unique study area at the very heart of our school. The resources within the LRC are plentiful with over 10 thousand books, dozens of magazines and journals, 50 computers, several printers, plasma screen and our superb mobile interactive whiteboard all contained within the four LRC rooms. The LRC is managed by Mr. Back and his team of 15 LRC Assistants. 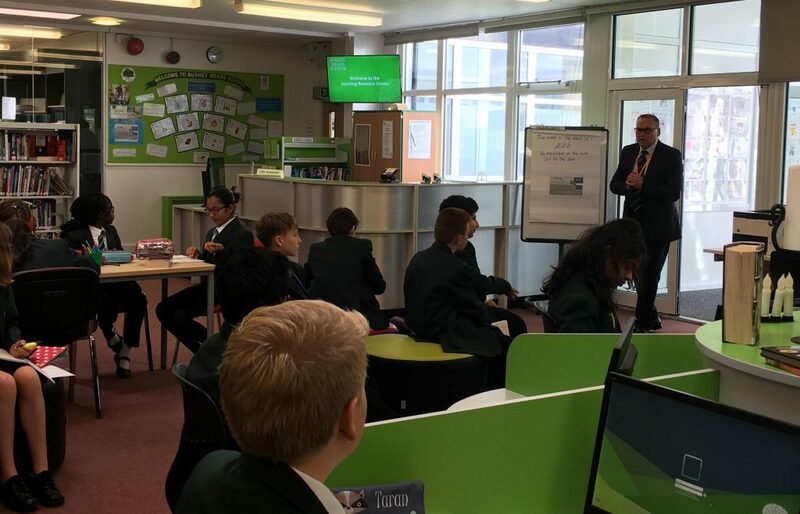 The area ensures that every pupil here at Bushey Meads school has access to so many resources and puts us all at the forefront of education to meet the needs of the 21st Century. Every morning the LRC opens at 8am for Breakfast club for those pupils arriving to school early. We open again at break and lunchtimes and under the leadership of Ms. McCombe and Ms. White the homework club opens each day at 3.05pm. Since becoming a Librarian in year 8 I have worked my way up through the ranks to become Senior Head Librarian. In my role I have to be aware of what the other LRC Assistants have to do, and I make sure that they are keeping the LRC in a good running order; making sure that the shelves are tidy and assisting to ensure the smooth running of our magnificent LRC. I work closely with Mr Back our LRC Manager to make sure the other Librarians are performing their designated duties correctly. As Senior Head Librarian I have certain tasks that other Librarians do not have, such as creating a rota for the other Librarians so they know what day they are working in the LRC. I also have to supervise the Librarian team to ensure they are fulfilling duties everyday. Within the LRC we have a wonderful team of Librarians who never disappoint, they are always on time to fulfil their duties. Being a Senior Head Librarian I also have the privilege of deciding who should be promoted to the next rank of Librarian. When in the LRC I am usually assisted by the Head Librarians Nathan Marriott and Owen Thomas, they have both been LRC Assistants since joining the team in year 7 and I have had the privilege of watching them become Head Librarians and watching how they have learnt to become two of the best Head Librarians within the LRC. As a Head Librarian, I help around the LRC by making sure that all LRC Assistants are doing their job and making sure that the shelves look tidy. I also work alongside the other Head Librarian Nathan Marriott. Together we assist the Senior Head Librarian, Ellis Brown. I usually come in every day to help out in the LRC. Nathan and I are assisted by 4 wonderful Assistant Head Librarians who help us out. I have always enjoyed going to the LRC as it is a fantastic space to study and work in. 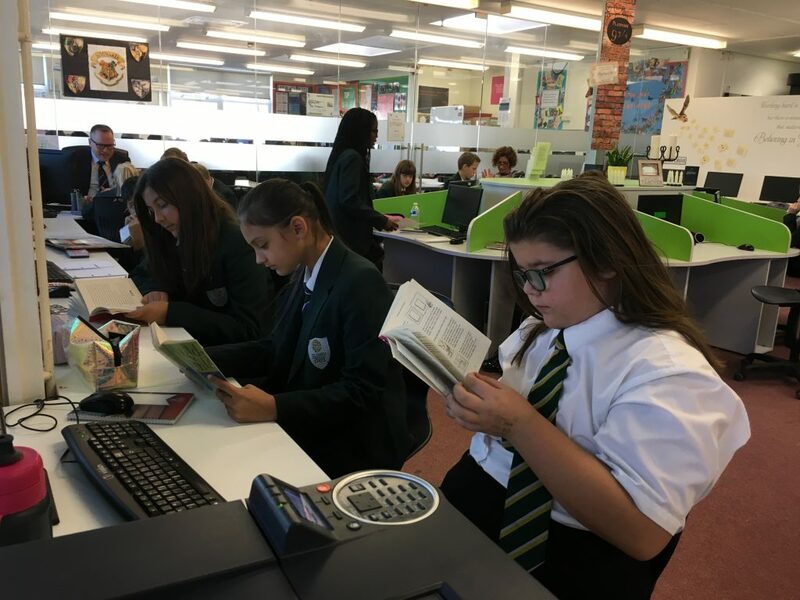 I started as an LRC Assistant in Year 7, I’m now in year 10 and during this time there has been a lot of changes within the LRC which have been a great improvement to all the resources we have here at Bushey Meads School. I enjoy working in the LRC and Mr Back is an amazing LRC Manager and it is a privilege to work alongside him. The Power of Reward at BMS!